San Diego State and BYU continued to get separation from the rest of the pack this week, adding three more wins between them and hurtling us one week closer to an epic matchup between the two favorites in Provo on January 26. While BYU’s one game this week was a big 25-point win over intrastate rival Utah (more on that game later), the Aztecs posted the two most impressive wins of the week, getting a home win over UNLV in a slugfest before traveling to New Mexico and getting a 10-point up-tempo win in perhaps their toughest road trip of the season to date (which is saying a lot for a team who has now won 11 games away from the Viejas Arena this season). Team of the Week: San Diego State – We’ve pointed out in this space before that sometimes this season, the Aztecs have been guilty of not giving great effort against some of the lesser teams on their schedule. They’ve been known to come out of the chutes a little slow. And while they’ve killed people on the offensive glass, they have been less than impressive on the other backboards at times. None of that was a problem this week. The Aztecs controlled the boards on both ends of the floor against UNLV on Wednesday. They fought and scrapped and harassed Rebel players from the opening jump to the final buzzer in scraping out a six-point win. Then on Saturday, used a completely different up-tempo, fast-breaking, three-point drilling style in overwhelming the Lobos in one of the toughest places to play in America. Kawhi Leonard, Malcolm Thomas, and D.J Gay were all on top of their games this week, and with Duke being upset on Wednesday, the Aztecs now own the longest winning streak in the nation, with a 19-0 record. Player of the Week: Kawhi Leonard, Sophomore, San Diego State – Let’s get one thing straight right out of the gate. In a week where Jimmer Fredette posted 47 points, four rebounds, six assists, and two steals on 16-28 shooting with six threes mixed in there, I don’t for a second feel bad about handing the Player of the Week award (and all the glories that accompany it) to someone else. Especially when that someone else posted two dominant double-doubles in one of the tougher back-to-back sets of games of conference play. Leonard averaged 17 points and 16 rebounds this week, and those numbers alone are impressive enough. But throw in four assists in each game. Throw in a total of 16 trips to the line on the week. Throw in harassing defense that limited guys like Philip McDonald and Tre’Von Willis – guys listed in their rosters as guards – to a combined 4-16 from the field for 15 total points, more than eight below their combined average, and you’ll see why Leonard is right there with Fredette in the race for the MWC Player of the Year. Newcomer of the Week: Drew Gordon, Junior, New Mexico – This. No, really. Check this out. That alone had me abusing my TiVo remote’s rewind-button repeatedly on Saturday evening. In a game chock full of spectacular plays, that one was beyond the pale. Aside from the highlight reel stuff, Gordon was absolutely dominant in that game, playing his best game as a Lobo, and really, his best game as a collegiate. Against the hyper-athletic Aztec frontline, Gordon kept his Lobos in the game by drawing fouls across the SDSU frontcourt and scoring at will with a combination of feathery-soft jump hooks and athletic putbacks on his way to 23 points and 14 boards. After taking some time to get comfortable with his new squad, the UCLA transfer averaged 19 points and 15 rebounds this week, and while the Lobos are looking up at .500 in conference play, the combination of Gordon and senior point guard Dairese Gary could be a scary proposition down the stretch. Game of the Week: San Diego State 87, New Mexico 77 – Have you checked this out yet? My goodness. Down the stretch, this game wasn’t exactly a nailbiter, but there was so much great basketball in this game that I wouldn’t mind going back and watching this one again. Aside from Gordon’s crazy dunk, there was Leonard throwing down a sick dunk on one possession, then coming back down on the very next possession and knocking down a confident three in the face of a Lobo defender, a pair of plays that had to have the NBA scouts in attendance drooling. Then there was the Gay/Gary duel, which made me realize how much I am going to miss those two bulldogs after a couple more months. Gay was outstanding, knocking down seven threes (including a runner at the half-time buzzer to cap a stellar stretch), but also getting to the line with ease and handing out a steady four assists along the way. Then there was Gary’s 23 points, seven assists and four threes as he and Gordon did everything possible to keep the Lobos within striking distance. While the game was never in doubt down the stretch, the play in the meat of the game was enthralling. Last year, the teams’ roles were pretty much reversed, with UNM off to the fast start in the front half of the season and SDSU just beginning to round into shape at the start of conference play. When they met in a classic semifinal matchup in the MWC Tournament, it was SDSU riding steady improvement through February and March who was able to rise up and grab the MWC automatic bid. Don’t be surprised if SDSU and New Mexico meet in the 1/4 matchup in this year’s MWC Semis with the Lobos needing to win to keep their NCAA Tournament hopes alive, and don’t be surprised to see another classic battle. Game of the Upcoming Week: New Mexico at UNLV, 1/12, 1PM PST, Vs. – With San Diego State and Brigham Young well-established as the favorites in the conference, this is a battle between the next tier of teams. After starting out an impressive 9-0, the Rebels have now lost four of their last nine games and are in need of a confidence-boosting win. The Lobos currently sit at 1-2 in the conference and have yet to score a major win on the season – a win in Vegas on Saturday would be their first big notch on their potential NCAA Tournament resume. But beating the Rebs at home is easier said than done. They’ll need Gordon to reprise his dominating play this week and exploit a somewhat soft UNLV underbelly, while Gary will need to withstand the harassing Rebel defensive pressure on the perimeter. For the Rebels, it would help if they could find someone to knock down a couple perimeter jumpers. With so much on the line for both teams, this could be a rockfight. 1. San Diego State (19-0, 4-0): We’ve talked about Leonard and Gay above, so it’s time to check out some other Aztecs here. First, senior Malcolm Thomas has been a great frontcourt pairing with Leonard. He doesn’t need a lot of offense run for him to be effective, he’s plenty capable of converting his nearly three offensive rebounds per game into easy offense and he converts a high percentage of his shots from the field. He brings it on a consistent basis on the defensive end, getting after the defensive glass while also blocking more than two shots a game. Then there’s senior Billy White, who has been quiet of late. He blew up for 30 points and nine rebounds as the Aztecs made a name for themselves early in the season against Gonzaga, but since then he has been quiet. He has scored in double figures just twice in the last month and hasn’t grabbed more than five rebounds since before Thanksgiving. While White doesn’t need to be a big scorer or rebounder for SDSU to be effective, they do need consistent contributions out of him for them to live up to their potential. If he can get back to being an effective third option offensively (behind Leonard and Gay), SDSU’s got a deep March run to look forward to. A look ahead: The Aztecs host Air Force on Wednesday before getting a bye this weekend in advance of next Wednesday’s colossal trip to BYU. 2. 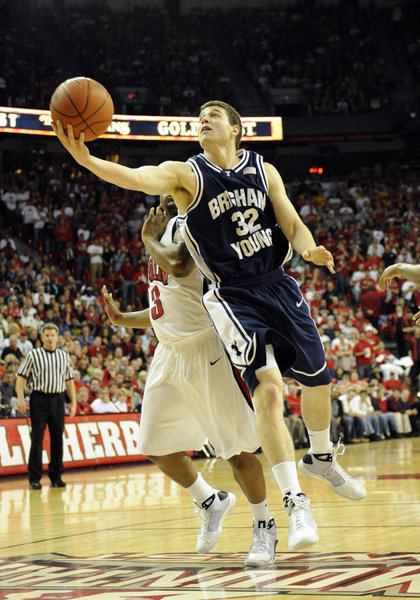 BYU (17-1, 3-0): So, yeah, there was that Fredette 47-point outburst. It was real, and it was spectacular. But it’s just Jimmer. You almost expect those kinds of performances out of him by now. 34 here, 39 there, 22 is a bit of a slow night, make up for it with 49. Ho hum. Oh, and he broke the 2000-point plateau in his career at BYU in the Utah game, and it is not out of the question that he could catch Danny Ainge for the all-time mark. Well, we’ve got 12 more regular season games worth of Fredette and you better get a glimpse of him whenever you can at this point. There are worse ways for a basketball fan to spend a couple of hours. While Fredette’s big game got all the ink, four other Cougars scored in double figures against the Utes, including Jackson Emery who went for 20 and hit a couple of milestones as well, breaking Ainge’s all-time steals record and hitting the 1000-point mark in his Cougar career. On Tuesday night, BYU notched a 26-point win over TCU in which each of their five starters scored in double figures for the second straight game. A look ahead: After a slow week last week, BYU makes a sneaky-tough trip to Colorado State, a game in which head coach Dave Rose will need to make sure his boys aren’t looking ahead to the visit from the Aztecs. 3. UNLV (14-4, 2-2): The Rebels bounced back from their loss at SDSU with a 12-point win at Air Force. Playing without senior Tre’Von Willis, who missed the game with a knee injury, the Rebels played uninspired ball for most of the first 30 minutes and found themselves trailing by five at the under-eight timeout. But they picked things up defensively down the stretch, held the Falcons scoreless for over six minutes and knocked down their free throws in the end to earn a tough road win. Chace Stanback led the way for UNLV with 18 points and 11 rebounds. Derrick Jasper grabbed 11 more rebounds and handed out six assists. A look ahead: The Rebels host Colorado State and New Mexico in a pretty tough one-two homestand. 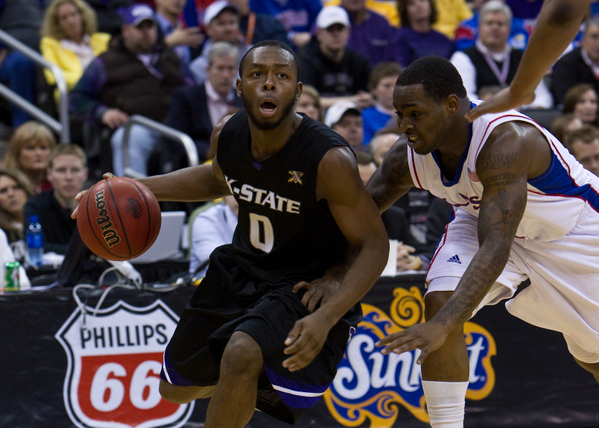 Willis is expected to be a game-time decision for the CSU game on Wednesday. 4. New Mexico (13-5, 1-2): While the Lobos have been unable to gather up any momentum to this point on their schedule, you can see this team is starting to get dangerous. Everybody around the conference knows how good Gary is, but now with Gordon beginning to play lights out, the Lobos have two major offensive threats, each of whom is effective on the defensive end. Freshmen wing Kendall Williams and center Alex Kirk have each turned it on at times over the last couple weeks, but each is still susceptible to inconsistency. Then there’s junior Philip McDonald, who remains a bit of an enigma. Head coach Steve Alford relegated him to coming off the bench in their seven-point home win over Colorado State this week, after a series of lackluster performances. However, he responded against the Rams by posting a career-high-tying 27 points. Figuring that McDonald had taken the hint, Alford put him back in the starting lineup against SDSU and he was relatively invisible again, missing all five of his field goal attempts and posting just six points. It’s anybody’s guess where he goes from here, but he’ll need to get going for the Lobos to make a run at an NCAA Tournament bid. A look ahead: Road trips to Utah and UNLV loom; a road sweep is a dream scenario, a split is perfectly acceptable (although at some point, they’ll need to win some road games against quality competition), and an 0-2 week dooms the Lobos to NIT contention. 5. Colorado State (12-5, 2-1): After dropping the game at The Pit, the Rams returned home and took care of TCU in a solid game. Sophomore point guard Dorian Green (15 PPG) and senior forward Andy Ogide (13.5 PPG, 8 RPG) were the big names this week, but the head coach Tim Miles has to be wondering what happened to Travis Franklin. Since the senior scored 67 points in three games in Hawai’i during the Diamond Head Classic, he has only scored a total of 51 points in the last six games and he has only attempted five field goals per game over that span. He picked things up in the TCU game, going for 14 points on five-of-nine shooting, but the Rams could sure use a more longer-term contribution from Franklin. 6. Air Force (10-6, 1-2): After taking the middle of the week off, the Falcons hosted UNLV on Saturday and were golden for about 32 minutes. Unfortunately, over the next seven minutes they were, well, the opposite of golden. They failed to score for 6:35, gave up a 13-0 Rebel run over that span, and never recovered. While there were any number of factors that contributed to their loss (beyond, you know, not scoring for 6:35), the Falcons struggled most in two areas: rebounding and free throw shooting. While their inability to rebound effectively was not a surprise, their 12/25 shooting from the line was glaring, given their 71% clip prior to the UNLV game. A look ahead: The Falcons travel to San Diego State on Wednesday for an interesting one. Air Force will likely get killed on the glass, because Air Force always gets killed on the glass and SDSU always kills people on the glass. But, the Falcons will ugly the game up, keep the numbers of possessions to a minimum, and if they can make their shots, could hang around for 30 minutes or so. Or they could lose by 40. Who knows? After that they return back home to host Wyoming in a game that even the most die-hard MWC fan could be excused for missing. 7. Utah (8-10, 1-3): Here’s the thing: a 25-point home loss to the hated in-state rival is never a good thing. Letting the hated in-state rival’s stud guard go for 47? Worse yet, all that happening in the last matchup as conference foes? Pretty disastrous. But, underneath all of that, there were little signs of good things around the Ute program this week. Jim Boylen’s club bounced back from that loss to whip Wyoming on the road. Junior center David Foster, last year’s MWC Defensive Player of the Year, has now played 25 or more minutes for three straight games, something that had only happened one other time all season, and in the process he blocked eight shots and grabbed 23 rebounds. And junior wing Will Clyburn continued his strong season with 47 points, 16 rebounds and six threes on the week. But, turnovers continued to haunt the Utes, most obviously in the BYU game when they turned the ball over 22 times and forced just five. While the problems with the Utah program extend beyond the point guard play, that position is a pretty good microcosm for their struggles: between juniors Josh Watkins and Chris Kupets, there are three more turnovers than assists on the season. A look ahead: Utah hosts New Mexico, then travels to TCU on Saturday. 8. TCU (10-9, 1-3): The Horned Frogs won at home and lost on the road last week, knocking off Wyoming and losing to Colorado State. The line of the week definitely came from Ronnie Moss, posting 27 points, ten rebounds (not bad for a 6-2 guard), four steals and six threes against Wyoming. Point guard Hank Thorns also made a splash, totaling 19 assists on the week, while freshman forward Amric Fields contributed 14.5 points per contest. The Frogs followed the ten-point loss at Colorado State with a rough road trip to BYU to start this week and headed back to Fort Worth with a 26-point loss for their effort. Moss did go for 27 points again and Thorns had ten more assists, but the game was never competitive. A look ahead: The Frogs welcome Utah into the Daniel-Meyer Coliseum on Saturday in a game which should help clear up the bottom of the MWC standings. 9. Wyoming (8-10, 1-3): I like to be positive around here. Sure, there are always some negative stories around college basketball, but college hoops fans generally don’t like to dwell on those things. We want to take about kids maturing into good players, coaches getting the most out of their student-athletes and the fun and excitement surrounding the sport we love. In that spirit, I’d like to take you back a couple of weeks ago when Francisco Cruz hit a buzzer-beater for an upset win over New Mexico that lifted the spirits of an entire program, albeit briefly. We can get to this week’s two losses by an average of 17.5 points and the news that junior Afam Muojeke – the team’s leading scorer from last season – will miss the remainder of this year with a ruptured patellar tendon, at some later date. A look ahead: Wyoming gets the middle of the week off, then travels to Colorado Spring for a meeting with Air Force on Saturday. An important in-state rivalry game and a heavyweight clash in the Mountain West headline tonight’s college basketball schedule. All rankings from RTC and all times eastern. Each team has faced some turmoil this season but in vastly different ways. Memphis has barely skated by a host of inferior opponents on their way to an 11-2 record while Tennessee has lost four of six after starting 7-0. 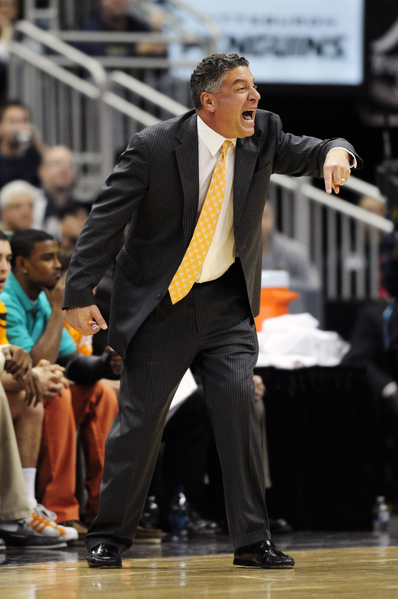 This is Bruce Pearl’s final game before his eight game suspension begins this Saturday at Arkansas. The Volunteers have struggled defensively during this lackluster stretch of games and allowed Charleston to shoot 58% in the Cougars’ win last week. Tennessee’s defense simply must get better, and that starts with Melvin Goins. Pearl’s senior point guard has a reputation as a great on-ball defender and he’ll need to bring it against a guard-heavy Memphis squad. As we hit that December downhill slide into conference play, we’re seeing the number of undefeated teams around the country decline. The Mountain West is no different, as their population of teams with unblemished records fell from three to two when UNLV got tripped up by a trip back east for an early-morning battle with Louisville. San Diego State and BYU remain undefeated, with each getting a win over a Pac-10 foe this week, and they’re gaining more and more national exposure as both teams inch up the rankings. Downstream from the big boys at the top of the conference sits New Mexico, firmly entrenched in its own tier behind the top three teams and ahead of the rest of the conference, capable of taking a step forward and contending for a NCAA tournament bid. The next tier down is made up of some middle-of-the-road teams (Utah, TCU, Colorado State, Air Force) who won’t pose much of a threat to the top tier teams in conference play. And, Wyoming makes up the bottom tier all by itself – that is a bad, bad team. Team of the Week: BYU – There were a couple of big tests for top-tier MWC teams this week, and while the Runnin’ Rebels got caught, the Cougars played their best game of the season in knocking off Arizona in front of a neutral-in-name-only crowd in Salt Lake City. Senior Jimmer Fredette was unstoppable for BYU (and we’ll get to his exploits in a just a little bit) while a mish-mash of Cougar frontline players combined to slow the Wildcats’ Derrick Williams, limiting him to just 13 points on nine field goal attempts. While BYU looked good in their previous nine wins, that Arizona win was the first time on the season where they looked like a team that was as good as, if not better than, last year’s vintage. Player of the Week: Jimmer Fredette, Senior, BYU – The week started for Fredette with a homecoming game, as the Cougars traveled to Glens Falls, New York, to face Vermont in the Hometown Classic, a return to Fredette’s old stomping grounds. There had to be a ton of pressure on Fredette, playing in front of a sold-out Glen Falls Civic Center, with everybody hoping to see the All-American candidate at his best. While lesser players may have shrunk under the watching eyes, or worse yet, forced up bad shots and played out of control, Fredette delivered the goods, going for a game-high 26 points while still playing within the offense and handing out five assists along the way for good measure. For an encore, back in front of a newer era of Fredette fans in Salt Lake City, he didn’t quite reprise last year’s 49 against Arizona, but he still went for a season-high 33 points and a new career-high nine rebounds. While Jimmer is a strong candidate to be mentioned in this space every single week, on this particular week, he was an absolute no-brainer. Newcomer of the Week: Sammy Yeager, Jr, TCU – In four weeks, we’ve now had three different players take down this award (Utah’s Will Clyburn is our only two-time winner), and all three of them have been junior-college transfers. And, coming on the heels of New Mexico’s Darington Hobson taking a similar route to the MWC Player of the Year last season, this juco-transfer-turned-impact-player story has become a familiar one around the conference. Yeager earned this week’s mention with six three-pointers over the Horned Frogs’ two games, including his career-high 22 points, nine rebounds, three blocks and three threes in TCU’s win over Texas Tech. While Yeager has been up and down over the course of the season (witness his 17 and 19-point performances in wins over SMU and Bradley wrapped around an 0-5 night in a loss to Rider), he has shown that he is a key performer for the Frogs. In their three losses, Yeager is a combined 5-23, while shooting at a 50% clip in their seven wins. Game of the Week: Louisville 77, UNLV 69 – The Rebels’ loss at the Yum! Center is the game from which we learned the most this week. While part of the UNLV can be attributed to the trip east and the early-morning game time, there were some question marks exposed for Lon Kruger’s team. First and foremost, while the balanced scoring and shared leadership on the team has been mentioned, even in this space, as a strength for UNLV, when things started going south on Saturday, there was no one player who the rest of the team looked to for guidance. You would expect that player would be senior guard Tre’Von Willis, a first-team All-MWC selection after last season, or maybe junior forward Chace Stanback, the Rebs’ leading scorer thus far this season. But instead, as Louisville pulled away late in the second half, the ball was just as likely to be in the hands of Anthony Marshall or Derrick Jasper – fine players both, but neither with a history of being the go-to guy on this team. While sharing the load equally is all fine and good in December, the Rebels will need to identify a guy, or a couple of guys, who are ready to step up and take the reins when others seem unsure. Game of the Upcoming Week: BYU vs. UCLA in Anaheim, 12/18, 2:30 PM PST, FSN – Finals week, and non-conference doldrums, set in this week. Beyond this game, the most attractive games are UC Santa Barbara’s sampling of the best the MWC has to offer (UCSB at UNLV on Wednesday and then at San Diego State on Saturday), but this game, part of the Wooden Classic, could be interesting. Jimmer Fredette will give the Bruin guards quite a test, but again the Cougar frontcourt should be tested. While the Bruins don’t have anyone quite the caliber of Derrick Williams (who the Cougars handled last Saturday), they do have a trio of capable frontcourt players who should challenge BYU’s depth and versatility along the front line. 1. San Diego State (10-0) – With the Aztecs’ win over Cal last Wednesday, Steve Fisher has posted his best start to a season in his 20 years as a head coach and SDSU has posted its best start in the 90 years of Aztec basketball. Along with the fast start comes plenty of accolades, as they’re ranked #9 in RTC’s top 25. However, despite all the success, there are still some concerns for this team. Last season, they were outrebounded very rarely; this season, they have been far less dominant on the glass. 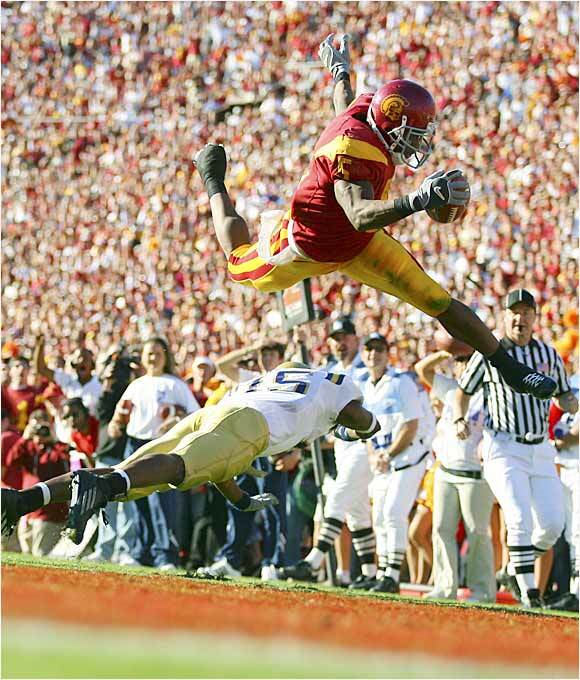 In the Cal game for instance, the Bears won the battle of the boards 38-28. Elsewhere, the Aztecs simply aren’t getting to the line very often – perhaps a blessing in disguise for a team that shoots in the mid-60s from the line – but it is a symptom of the team relying on the outside shot more this year than last. The fact that the Aztecs are shooting 36.7% from behind the arc (quite an improvement from last year’s 31.8%) makes it understandable, but it will be interesting to see how the Aztecs respond if the three-ball goes cold. A good first look at that occurred on Monday night when, with starters Kawhi Leonard and Chase Tapley out due to flu-like symptoms, the Aztecs combined to go 0/18 from deep. Senior point guard D.J. Gay was particularly awful (0-7 from three), but he still was able to make plays by penetrating, drawing fouls and getting to the line, where he made all eight of this free throws. 2. BYU (8-0) – Just about everything that needed saying about the Cougar week is detailed above, but an injury report is also in order. Sophomore Chris Collinsworth still remains day-to-day with an ankle injury, although at this point he hasn’t played since November 23. Noah Hartsock took a blow to the chin in the Arizona game and suffered a concussion and lacerations in his mouth, and he too should be regarded as day-to-day. A look ahead: The trip to the Wooden Classic for a matchup with UCLA is the only action of the week for the Cougars. 3. UNLV (9-1) – We detailed the Rebels’ loss to Louisville above, but they also had another somewhat tight game earlier in the week against Boise State. Despite leading by 16 with just over three minutes left, the Rebels had to hang on for dear life, escaping with just a three-point win in a game in which they turned the ball over 22 times (they turned it over 40 total times in their two games this week) and were outrebounded 34-30 by the Broncos. A look ahead: Some home-cooking should do UNLV much good, as they host UC Santa Barbara on Wednesday and Southern Utah on Saturday. 4. New Mexico (7-1) – While that one-loss record looks awful pretty, closer inspection shows very little in terms of quality wins, and the one loss to Cal seems iffier following the Bears’ subsequent struggles putting the ball in the hoop. But, the Lobos are healthy now, their freshmen have gotten some games under their belts and Drew Gordon is ready to get his first action of the season this week. Now, Steve Alford to this point has been quite generous handing out minutes – 11 players average ten or more minutes a game thus far – and that rotation will have to be tightened up a bit with conference play approaching, but by the time January rolls around, this should be a team that is coming up in the rearview mirrors of SDSU, BYU and UNLV very quickly. A look ahead: New Mexico hosts Longwood and the Citadel as part of the Las Vegas Classic, with the latter being Gordon’s first game. 5. TCU (7-3) – The Horned Frogs had their little impromptu Big 12 invitational this week, traveling to Lubbock and Lincoln and coming away with an acceptable split. Against Texas Tech, this tiny TCU team dominated on the boards, outrebounding the Red Raiders 48-34 (including grabbing an amazing 23 on the offensive end) on the way to a win. On Saturday, though, the tables were turned as the Cornhuskers won the battle of the boards 38-26 and TCU only got to the line five times all night (making just one) as Nebraska pulled away with an 18-3 run midway through the second half. A look ahead: A week off in Fort Worth before returning to the court 12/21 against Northwestern State. 6. Colorado State (4-3) – The Rams knew this was going to be a tough week as they also battled a pair of Big 12 teams, with games against Colorado and Kansas. CSU hung tough with Colorado on Wednesday and even forced overtime, but lost in the end after turning the ball over more than twice as often as the Buffaloes and being outscored by 21 from the free throw line. Against the Jayhawks on Saturday, CSU kept it close through the first half, despite several times where KU seemed on the verge of running away, but Tim Miles’ bunch was able to at least put off the eventual blowout to the second half, eventually falling by 21. A look ahead: Nothing until next Monday’s game against Northern Colorado. 7. Utah (6-3) – The Utes earned a perfectly acceptable split this week, knocking off Pepperdine at home before losing to Michigan in Ann Arbor on Friday night. Will Clyburn continued his strong play with 17 points and 10.5 rebounds per game (and throw in seven steals in the Pepperdine game), but Utah never really figured out the Wolverines defense, turned the ball over 16 times in a relatively slow-paced game and never recovered after digging themselves a 17-point halftime deficit. A look ahead: Boise State comes to town on Friday night for a preview of the two school’s matchup in the Las Vegas Bowl on December 22. 8. Air Force (6-2) – The Falcons had a sneaky tough trip to Dayton to face Wright State on Wednesday, and the Raiders more or less had their way with the Academy, forcing 20 turnovers, winning the battle on the glass and producing from deep. After having to deal with the weather on their way back home, the Falcons were able to bounce back in their win over North Carolina Central on Saturday, jumping out to a 40-20 halftime lead before coasting down the back stretch with four players scoring in double figures on the game. A look ahead: A Saturday game with Arkansas-Pine Bluff is the only appointment on the docket this week. 9. Wyoming (3-6) – Just one game this week for the Cowboys, a Friday trip to UC Irvine for the first ever matchup between the two schools, but head coach Heath Schroyer had to be questioning the scheduling of this road game on the flight back home after UCI just took apart Wyoming, hitting 58.3% of their shots, including ten three-pointers. Five Anteaters scored between 12 and 15 points and the Cowboys lost their latest in what is becoming a long line of embarrassing games. A look ahead: Denver on Tuesday and Western State on Friday. You know Cowboy fans who were looking ahead at the schedule back in October were penciling in a couple of wins here. I say they get one, and should be quite thankful with that. Team of the Week. UNLV. The Rebels get the nod here (although it could just have easily been BYU) on the basis of two absolute blowout wins over lesser MWC teams. The Rebels never trailed in drilling Colorado State by 31 on Saturday, and then led TCU by as much as 31 in the 2nd half on Wednesday before calling off the hounds and prevailing by just 16. Vegas is back on track and while the regular season conference title went away a long time ago, they still get to play the conference tournament in their own gym. Player of the Week. 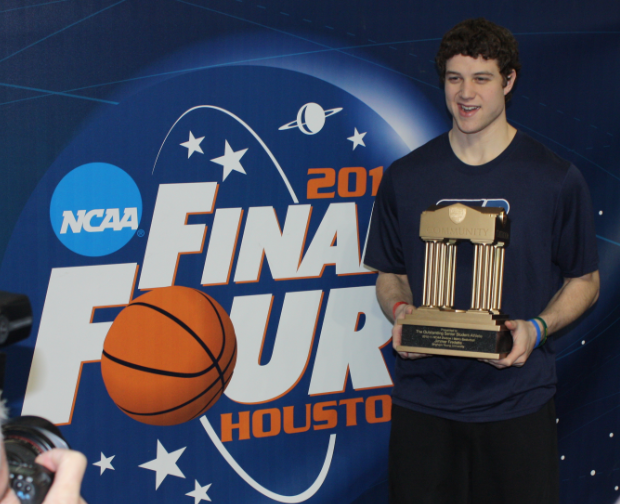 Jimmer Fredette, Jr, BYU. Fredette averaged 24.5 PPG, 3.5 RPG, 4.5 APG in leading his Cougars to a couple wins this week on the way to setting up the MWC game of the year with New Mexico on Saturday. Fredette has averaged over 28 PPG over the last three games and 21.7 PPG over the season and has positioned himself as the likely leader in the MWC Player of the Year race (although New Mexico’s Darington Hobson may still have something to say about that) and even deserving of mention in the national POTY discussion. Newcomer of the Week. Marshall Henderson, Fr, Utah. Henderson has been on a tear of late, having hit double figures in his last 11 games and averaging 15.9 PPG over that stretch. This week Henderson averaged 14 PPG, had four threes in a tight loss to San Diego State and led his Utes with 16 in a win over Air Force on Wednesday. Game of the Week. New Mexico 59 Air Force 56. On the Lobos’ way to the game of the season, they seemed to have a tidy little week ahead of them, but the Falcons disabused them of that notion right quick. Air Force shot 51% from the field (including 58% in the second half) and took a 56-55 lead on a layup by senior forward Grant Parker with 27 seconds left in the game. But, the Lobos kept their poise and were able to escape by the slimmest of margins when Hobson got a putback 10 seconds later to regain the lead, and after a strong defensive possession, junior guard Dairese Gary sealed the deal with a couple free throws to reach the final margin. Game of the Upcoming Week. New Mexico @ BYU, Versus TV, February 27th. I suppose this one just edges out Air Force at Wyoming next Tuesday, but this might be a pretty decent game itself, as the Lobos head into Provo for the game that in all likelihood will determine the regular season champion. The first matchup in Albuquerque in late January was a fiery battle, with BYU taking their first lead of the game under three minutes on a deep Fredette three before the Lobos rallied at the finish to salvage a four-point victory. But the Lobos will be missing a key component that was present in that victory: their home crowd. It’s quite possible that will be the difference here, because although both teams will take different approaches (BYU’s strengths lie in shooting and taking care of the ball and being very efficient on both ends of the court, while New Mexico tries to make its hay with its athleticism allowing it to pound the glass and get to the line), they do seem to be very evenly matched. My pick: BYU 76, New Mexico 70, with Fredette and Hobson leading the charge for each team. By this point in the season, just about everything is squared away. The BYU/New Mexico game on Saturday will decide the regular season champion (so long as both teams can take care of business on the hind end of their schedule). San Diego State and UNLV seem poised to take third and fourth place, respectively, and each has a legitimate claim on an at-large NCAA berth (although admittedly SDSU’s claim is much more tenuous). Utah and Colorado State have claimed the middle ground as their own and both teams are capable of springing an upset in the MWC tournament, with TCU, Wyoming and Air Force playing out the schedule with varying degrees of effort — Air Force is still plugging along, Wyoming is more or less already a month into the offseason, and TCU is still managing to show up once in a while. Now the MWC Tournament looms, and it will be very interesting, especially if all four favorites advance to the semifinal round. The Aztecs will be the team that needs the conference’s automatic bid the most to solidify their tournament hopes, but the competition will be fierce with the two top seeds and veritable home team, the Rebels. Looking back: What looked like a bit of a quiet week for New Mexico produced a couple of down-to-the-wire nailbiters for the conference leader. First, they needed an offensive rebound from Hobson with less than 20 seconds left to put away last-place Air Force. Then, they got all they could handle at Moby Arena against Colorado State, but were able to dodge junior guard Adam Nigon’s six threes and sneak away with a six-point win. Once again, it was New Mexico’s ability to control the glass (the Lobos outrebounded CSU 44-32 – senior forward Roman Martinez had 12 boards and Hobson added 10 more) and to get to the free throw line (UNM was 18/23 from the FT line in the second half alone) that was the difference in giving Steve Alford’s squad their twelfth straight conference victory, tying a MWC record. Looking ahead: This is it for the Lobo regular season. After the big game in Provo on Saturday, the Lobos return to the Pit to host TCU and to say goodbye to Martinez, their lone scholarship senior. Looking back: BYU did their part to set up the battle for the title this week by visiting Laramie and controlling the reeling Cowboys from start to finish. The Cougars never trailed, forced 12 turnovers and outrebounded Wyoming by 12 as they coasted to a 22-point win. The next game was a bit tougher as they returned home to host San Diego State, but behind a 9-0 run near the end of the first half and a 14-2 run in the middle of the second half, they were able to take control of the game and pull away. Perhaps the key to the game for BYU was their ability to hit the glass, and they outrebounded the conference’s best rebounding team (albeit with freshman forward Kawhi Leonard – the MWC’s leading rebounder – diminished by illness). The Cougars were also able to force 16 Aztec turnovers, and those turnovers coupled with BYU’s 7/15 shooting from three contributed greatly to both big BYU runs. Looking ahead: After the Lobo game this weekend, BYU has a tough bounce-back game on Wednesday at Utah, a team that has gelled into a solid team in recent weeks. Looking back: The Aztecs had a lot riding on their game Wednesday night at BYU. While they have a strong RPI and a solid record, they really only have a pair of home wins over New Mexico and UNLV to show for it. A win at Provo probably would have been the big win to put them over the top. They still have an outside chance at an at-large at this point, and could add a neutral-site win over BYU or New Mexico in the MWC Semifinals which would be an excellent win, but to be on the safe side, the Aztecs are now in a position where winning the MWC tourney would be their best bet. The Leonard illness came at a most inopportune time for the Aztecs, as he was severely limited on Wednesday night. Before even the first TV timeout, he was having trouble breathing and just wasn’t his normal explosive self, and was held to just three points and five rebounds, one of the major reasons SDSU was outrebounded. The Aztecs did add another victory earlier this week when junior forward Malcolm Thomas’ career-high 28 points and Leonard’s 14 points and 15 boards helped them pull out a tough one at home against Utah. Looking ahead: The Aztecs host Colorado State on Wednesday, then wrap up the season with a trip to Air Force next Saturday. Looking back: The Rebels got back in the swing of things in a big way this week, breaking a three-game losing streak with back-to-back home routs. At this point, you have to figure the Rebels are safe for an at-large on the strengths of wins over Louisville, BYU, San Diego State and at New Mexico, but its probably not as sure of a thing as some are claiming. While Utah is coming around, those two losses don’t look especially great. But the Rebels have started to get some production out of players not named Tre’Von Willis. Junior forward Chace Stanback averaged 14 PPG this week, sophomore center Brice Massamba had five blocks against CSU and nine rebounds against TCU, and freshman guard Anthony Marshall had 12 points and ten rebounds against the Rams. The Rebels also still hope to get junior wing Derrick Jasper back from a sprained MCL suffered at the end of January, but he may not even be ready until the MWC tournament. Looking ahead: Just a trip to Air Force for the Rebels on Saturday, then a week off before they host Wyoming the following Saturday, both games the Rebels are more than capable of winning. Looking back: After a 31-point loss at UNLV on Saturday seemed to again prove that the Rams weren’t capable of staying on the court with the top teams in the MWC, they turned around and gave New Mexico a good run on Tuesday. Nigon poured in his career high 23 points, but he also got help from junior forward Andy Ogide (12 points and six rebounds) and freshman guard Dorian Green (11 points and six assists). The Rams have now lost three straight, and will need to finish their remaining schedule with a couple of wins in order to improve their chances of an NIT bid. Looking ahead: The Rams still have one very tough remaining game, when they travel to San Diego State next Wednesday, but have very winnable games sandwiched around that: at TCU on Saturday and home against Utah (in what will likely be the battle for 5th place in the conference) on the final Saturday of the season. Looking back: The Utes gave San Diego State a good run on Saturday, outrebounding the conference’s best rebounding team (seven Utes had at least four rebounds) and keeping things tight up to the end, although a lot of the credit for that can be given to the Aztecs and their inability to hit free throws down the stretch. In the end, they were done in by another night of poor shooting (39% from field) and ballhandling (15 turnovers), giving Utah their fifth loss in seven games. Utah got things back on track on Wednesday, however, when they held Air Force to a season-low 43 points and just 2/17 shooting from three. Utah again controlled the glass, 30-18, and this time shot well from the field — 50% both from the field and from behind the arc. Looking ahead: The Utes host Wyoming and then BYU this week, and are lucky enough to catch the Cougars after the New Mexico game, a trap-game of which Jim Boylen hopes his club can take advantage. Looking back: Take a quick glance at the box score for the Horned Frogs this week and you see some things you expected to see all season, like a 21 and an 11 next to senior forward Zvonko Buljan’s name and a 25 next to sophomore guard Ronnie Moss’ name. But then you get to the turnover column and see twos, threes, and fours next to everybody’s name on the entire roster, and you get why TCU was down by as many as 31 in the second half at UNLV. In the end, the Frogs wound up with 21 turnovers, and despite those gaudy numbers in Moss and Buljan’s scoring columns, they were never really in this game. Looking ahead: The Frogs host Colorado State on Saturday, then travel to New Mexico on Wednesday. Looking back: You gotta give the Cowboys this much credit: when you saw BYU looming on the schedule a week or so ago, you probably figured the final margin would have been higher than 22. But freshman guard Desmar Jackson is still fighting and he poured in a career-high 26 points highlighted by four threes in his attempt to keep his team in the game. Jackson has been one of the very few bright spots in Laramie this season. He has averaged 12.2 PPG in conference play thus far and led the Cowboys in scoring in four out of the nine games since sophomore forward Afam Muojeke went down for the season with a knee injury. Looking ahead: Wyoming travels to Utah on Saturday, then hosts Air Force in a battle for eighth place on Tuesday. Looking back: As we said in this space last week, while other teams at the back of the pack are now phoning it in, the Falcons are going down fighting. While their deliberate style and pack-it-in defense certainly allows them to keep games close, they almost stole a game they had no business being in against New Mexico on Saturday. They followed that up by fighting it out against Utah, but their inability to hit shots (just 2/17 from three) killed them. Looking ahead: The Falcons could get out of the cellar (or at least get some company in the cellar) with a win at Wyoming on Wednesday, but they’ll also have a another chance at one of the big boys when they host UNLV on Saturday.